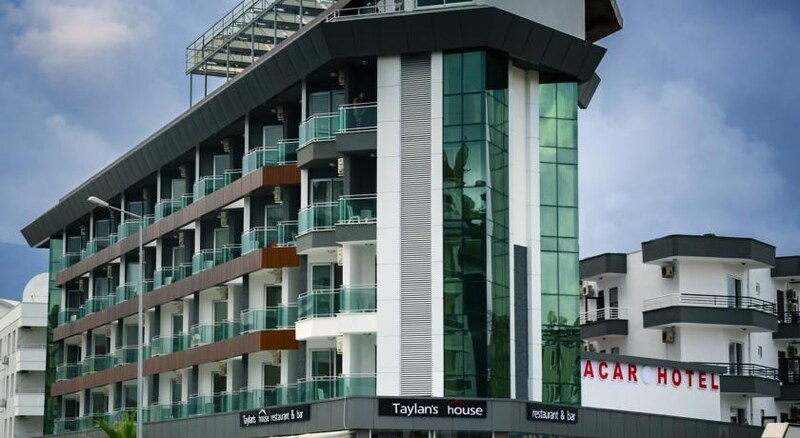 The attractive hotel Acar is situated in Oba just 2.5km from the city centre of Alanya and offers a host of facilities to keep the whole family entertained. For those wanting to explore Alanya, a host of attractions await. Aside from the beach there are several sightseeing opportunities such as the Damlatas Caves, Alanya Castle and the Red Tower. With spacious public areas and a 24 hour reception the hotel has everything you’ll need for a home away from home. The hotel Acar is suitable for both families and couples looking for a well-equipped hotel close to the beach. It’s also an ideal base from which to explore Alanya and the surrounding countryside. 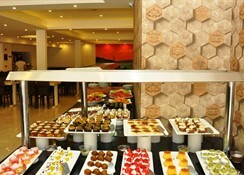 This well established, air-conditioned city hotel comprises a total of 95 rooms, including an annexe block. 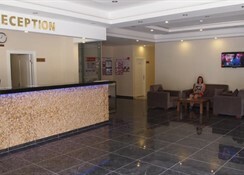 In addition to a lobby area with a 24-hour reception and check-out service, facilities on offer to guests include a hotel safe, currency exchange facilities, a cloakroom and lift access to the upper floors. Guests also have a hairdressing salon, a games room and a TV lounge at their disposal. The younger guests can let off steam in the children''s playground. 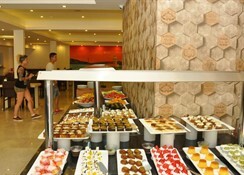 Guests can enjoy a drink at the cafe or at the Que Pasa bar and dine at the restaurant. They will appreciate the wireless Internet access and laundry service (charges apply). There is a car park for those arriving by car. The standard rooms all come with an en suite bathroom with a shower and a hairdryer and offer a double bed. They are equipped with a direct dial telephone, satellite TV and Internet access. Furthermore, a minibar/fridge, individually regulated air conditioning and heating and a balcony or terrace are provided in all accommodation as standard. All inclusive system starts at 10:00 and ends at 24:00. After 24:00 all the drinks are extra. 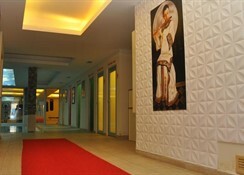 This hotel is located in the Oba area of the resort, 250 m from the beach, which can be accessed by an underpass. Some shops and cafe/restaurants are within a few minutes'' walk of the hotel and public transport is roughly 200 m away. 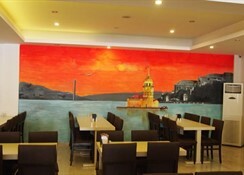 It lies approximately 4 km east of the centre of Alanya, the nearest nightspots, Alanya Harbour and the tourist centre. Guests will find the Damlatas Caves roughly 5 km away and it is some 6 km to Alanya Castle. Manavgat is about 63 km from the property and it is around 67 km to the Manavgat Waterfalls. Antalya Airport is approximately 128 km away.